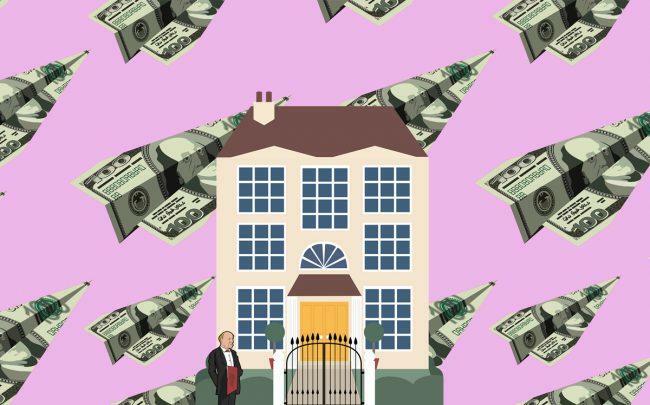 Instead of introducing an annual pied-à-terre tax, a measure dreaded by much of the city’s real estate industry, the state’s 2019-2020 budget includes an expansion of the “mansion tax,” a one-time levy on residential sales, along with a heftier transfer tax. The “mansion tax” ranges from .25 to 2.9 percent, in addition to the existing 1 percent tax that is already collected on residential properties sold for $1 million or more. The budget also included an extra .25 percent transfer tax on residential properties that sell for more than $3 million. The new taxes take effect July 1 of this year and are projected to generate $365 million in revenue. To get an idea of what these taxes would look like for individual sales, we calculated the mansion and transfer taxes on the top 10 most expensive residential closings of 2018 in the city — both what they would’ve been last year and what they would look like if the new rules applied. If these 10 units closed with the new tax rules in place, the city and state would have collectively received $18.1 million in additional revenue. The average difference between the actual and hypothetical tax bills for these deals was $1.8 million. If these 10 units closed with the new tax rules in place, the city and state would have collectively received $18.1 million in additional revenue.